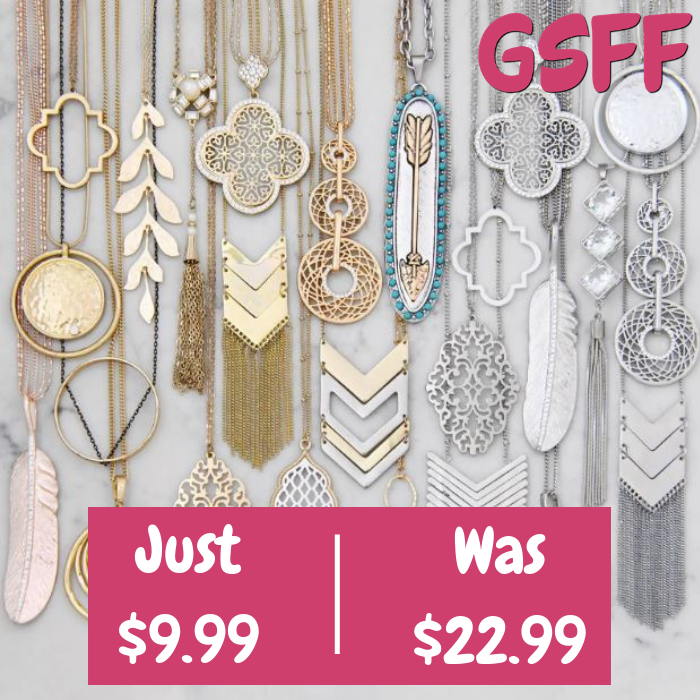 Stylish Long Necklaces Just $9.99! Down From $23! PLUS FREE Shipping! You are here: Home / Great Deals / Stylish Long Necklaces Just $9.99! Down From $23! PLUS FREE Shipping! Until November 25 only! Jane is offering these Stylish Long Necklaces for just $9.99 down from $22.99 PLUS FREE shipping! Make your outfit sparkle with a special necklace! These unique necklaces are perfect for adding fun flair to your daily ensembles. Find the style that catches your eye, and pick up a necklace today! Perfect gift idea!